The Leslie Side Chair is chic and functional. Use it outside on the deck or patio, or use in indoors in nearly any room. You’ll never run out of uses for the simply stylish Leslie Side Chair. Use several around a dining table or pair it with a desk - there are no limits! 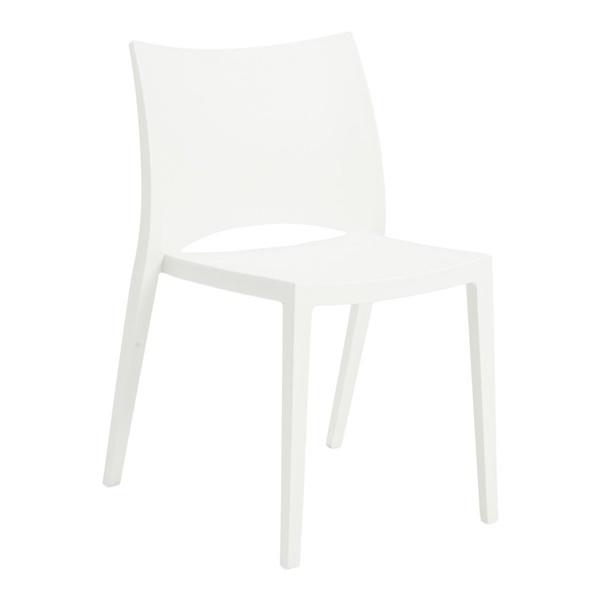 This modern dining chair is made of polypropylene. It is also conveniently stackable. The Leslie Side Chair makes an excellent choice for any home with its simple style and limitless versatility.